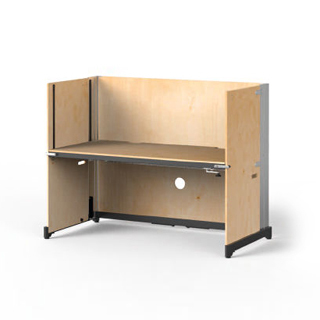 As such it redefines “flexible” office furniture as it is not just flexible in how one uses it within the office but is flexible in terms of transport and storage. 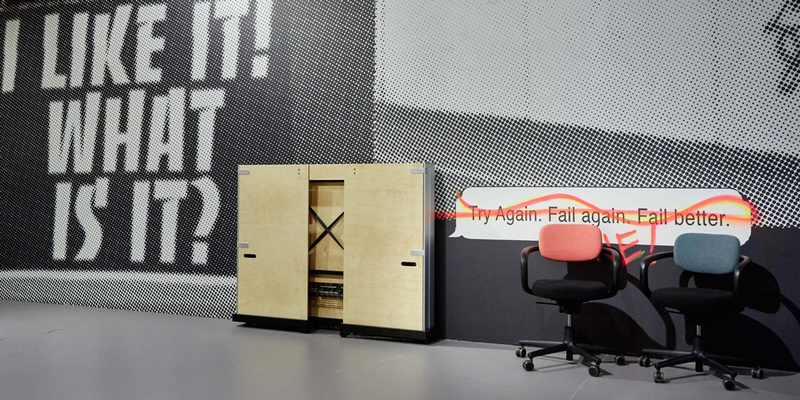 Designed by Konstantin Grcic, Hack is a table system that anticipates the requirements of companies and employees – a provocative solution which can be understood as a ‘hack’ of the office environment. 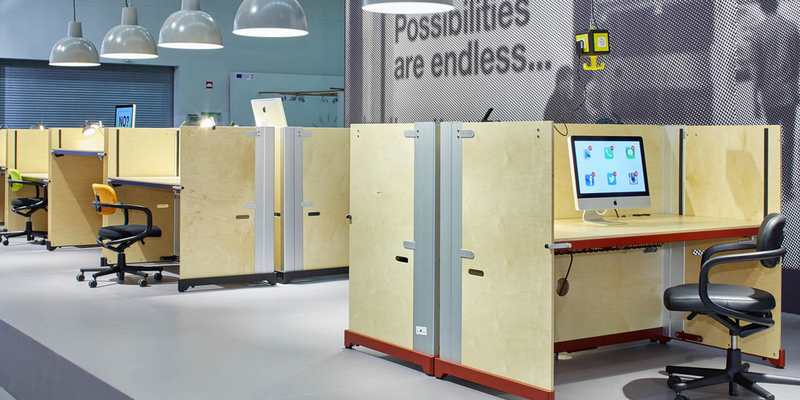 Grcic counters traditional desks with an innovative functional and aesthetic approach that satisfies the demands of today’s high-tech companies. With its raw wooden panels, Hack presents an unfinished aesthetic at first glance, like a snapshot of an experimental project under development. The system reflects the attitude of companies that similarly define themselves in terms of constant change. 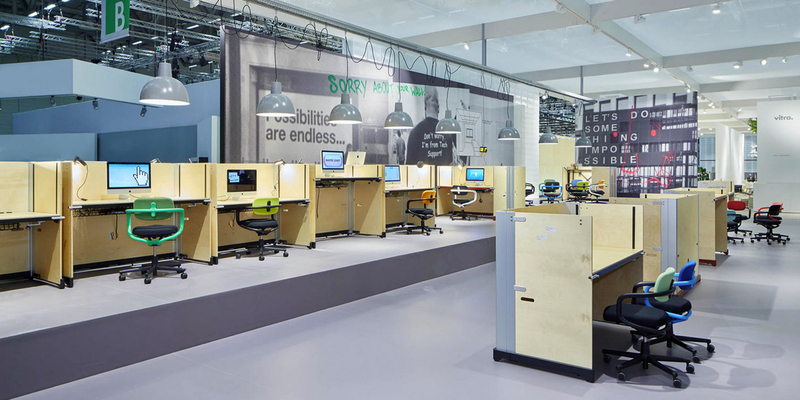 In addition Vitra are presenting Konstantin Grcic’s new Hack table concept. 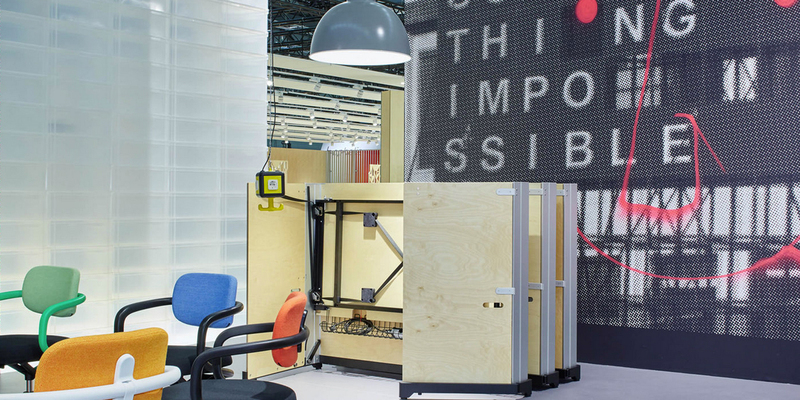 Much like they premièred Ronan and Erwan Bouroullec’s Cork Desk concept two years ago. 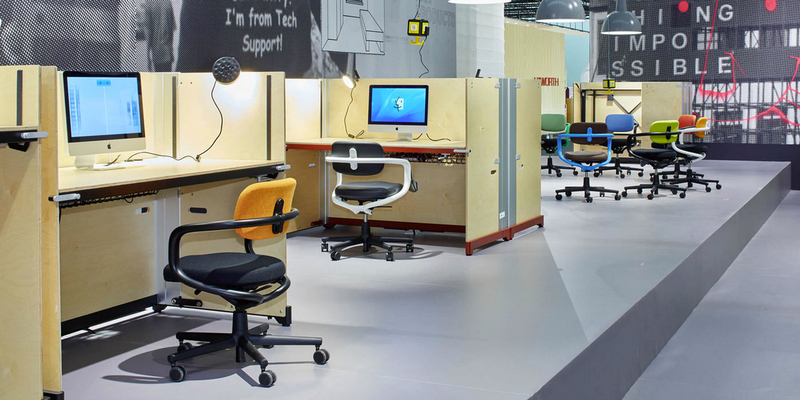 Where however we see the chance that Hack will become available before the Cork Desk is that Hack represents a new concept in office furniture. It’s not a mere product. Folded flat it takes up little space, is a self contained crate. 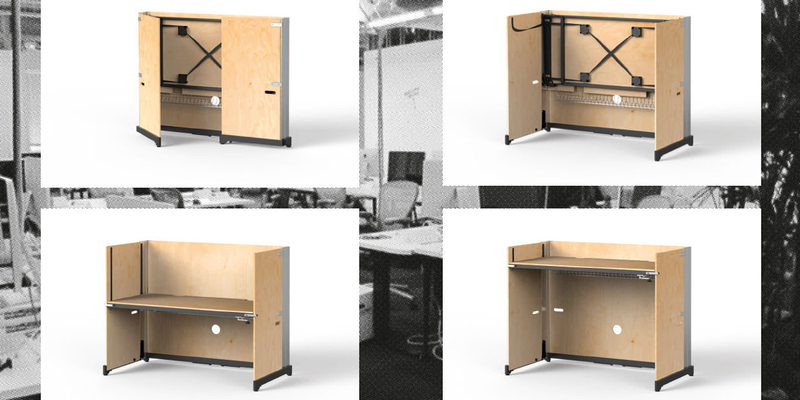 Unpack it and you have a height adjustable desk with its own space divider walls. 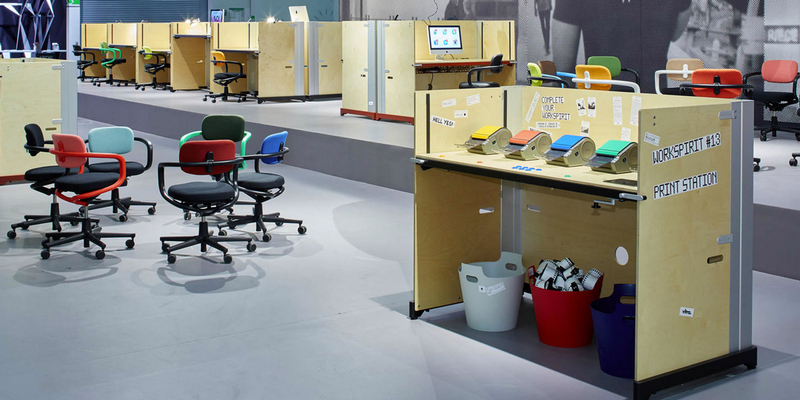 As such it redefines “flexible” office furniture as it is not just flexible in how one uses it within the office but is flexible in terms of transport and storage meaning that whole new usage concepts can be developed, whole new ideas of what owning office furniture means established and whole new relationships with office furniture formed.